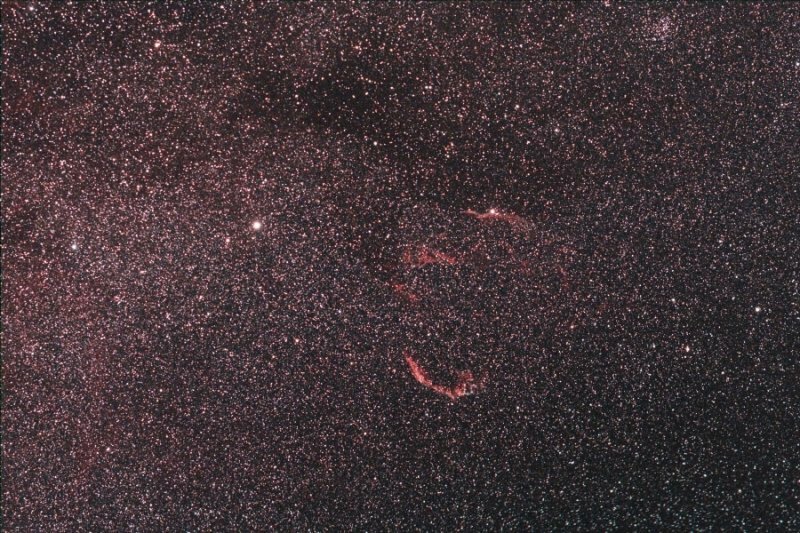 Also known as the Cirrus Nebula, the Veil Nebula is a supernova remnant. Lens 'piggybacked' on a telescope for 7 x 3-minute exposures at f/4. ISO 1600. Images registered and stacked using Deep Sky Stacker software.